Done a lot of looking here and abroad but can't really find a clear answer. My 1960 Valiant has the tilted A903 manual trans but no floor shifter and no clutch linkage. I do have the z-bar and trans side bracket but no frame side ball mount. 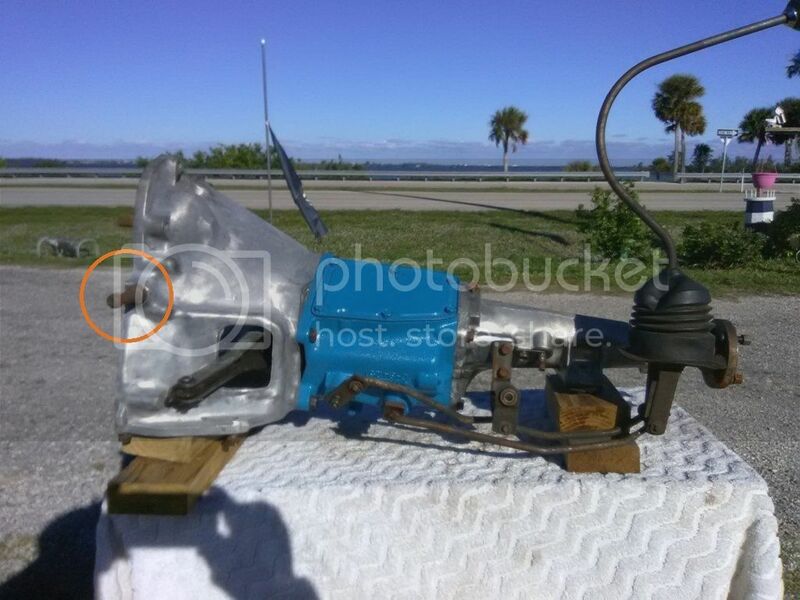 There is a guy local to me that is parting out a /6 1966 valiant manual trans with the column shifter. 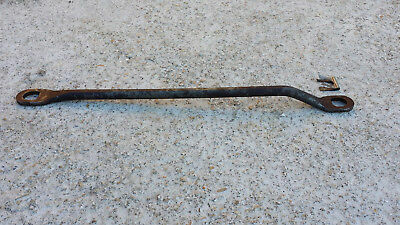 Question is can I use any of the clutch linkage with the floor mount z-bar? Are they different between the earlier cars? I don't want to convert over to the column shift (I am aware that the floor shifter might be hard to source). Having no luck finding info on the early transmission clutch linkages. Anyone know if that interchanges? Or the dimensions? Can't find anything online-lots of z-bar rebuild for 63 and up. 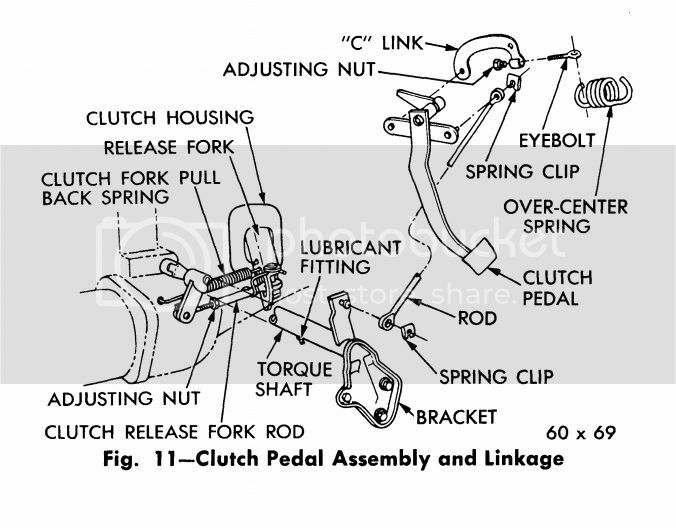 And the clutch fork linkage-is it specific to 60-62? The end looks different. I never knew any of the transmissions were tilted?? The clutch fork looks like the one in my '65, which was originally from a '64 Dart. The ball stud may be available from the Mopar transmission specialist's. They do sell a version that bolts on. The nylon bushings for the z bar seems to be the same for all years. The best pic I can find that comes close to the setup. The clutch release fork looks to have two eye fittings with the adjuster in the center. That I might have to fab up. The upper clutch rod I am also missing. Just a matter of determining the correct length and offset. I don't see any reason that just any 9/16" coarse thread ball stud would work as long as it threads into the bellhousing. And the best tool I just picked up (for free I might add!) is a set of SAE tap and dies in both coarse and fine threads. Only up to 5/16" but already been chasing threads. That's the same clutch setup as my '65 Dart uses.